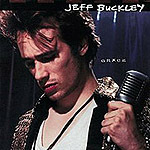 When, in August 1994, Jeff Buckley released his first studio album Grace it didn’t so much explode across the musical horizon, rather, it quietly gained momentum through word of mouth and recommendation. I was gifted the album by a college friend who had been mesmerized by Buckley’s voice. I, in turn, would pass the album on to my daughter (who, coincidently, is named Grace), in time she would pass it on to a friend…and so it goes. 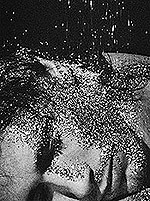 It was if Jeff Buckley was a secret that could only be passed on to someone you could trust with his fragile talent. And, like eggshells, it only needed one person to stumble and everything would be broken. Almost inevitably, on May 29, 1997, news came through that Buckley had died, aged just 30 years old. Of course, that wasn’t the end of the story. Over the last twelve years increasing interest in Buckley’s music has become compelling in its potency. And due to the recent resurgence in the popularity of his interpretation of Hallelujah, Buckley is even more popular now than he was during his short life. Grace was the only studio album that was completed and released during Buckley’s brief life. But luckily for his fans, Buckley and his band toured regularly during their short career. Many of those performances were recorded and filmed, and now they have been gathered together to form an intriguing and unique CD and DVD release. What makes 'Grace Around the World' so different from normal re-releases is that the original album is re-created, not with the original studio tracks, but with live recordings of those songs, in the same running order as the original album. Out of necessity, only one track had to be changed. Instead of ‘Corpus Christi Carol’, which was never performed on tour, the rarely-played ‘What Will You Say’ takes its place. 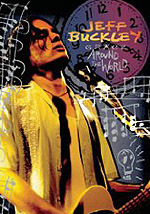 Directed and produced by Nyla Bialek Adams and Laurie Trombley, 'Amazing Grace: Jeff Buckley,' is an hour long documentary which has been officially sanctioned by the Jeff Buckley estate. It takes a look at the artist and his legacy through the eyes of self-confessed fans Adams and Trombley. The film asks the question, what is the mysterious source of power behind Buckley’s inspirational reach? Answers are found at the heart of Jeff Buckley’s legacy - his fans. 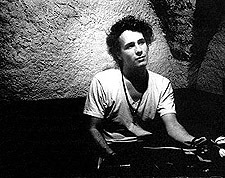 Interviews include all four of the Jeff Buckley Band members, friends, family, colleagues, critics, DJs, producers, and fans. Performances and outtakes have been culled from the warehouse archives of Columbia Records. From Sydney, New York, and London to Memphis, Montpellier, and Los Angeles, the film takes viewers on an intimate trip through the world of Jeff Buckley, a musician who still inspires fans and musicians alike. I talked to co-director/producer Nyla Bialek Adams, and I asked her how she felt about her documentary being released as part of the new 'Grace Around the World' package. "I’m delighted. It’s really exciting for us. It’s been a really long road for this film and we weren’t sure what was going to happen with it. To have a world-wide release like this has far exceeded our expectations." How did you hook up with Columbia/Legacy? "We had previously got in touch with Columbia/Legacy around the beginning of production, as we needed to get some footage to use in the documentary; so they knew the film was going to be made. The goal for us was to just screen it at film festivals; we had no aspirations for any DVD release, but when the film started to win awards and the screenings started to be sold out and it was spreading through word of mouth, then Columbia started to take notice. And then Mary, Jeff’s mum, suggested they release it. It was still three or four years between the label being interested and releasing it as there was a lot of music licensing issues which led to delays in release." Tell me about the original idea for the film that you and Laurie had ten years ago? "It’s been quite a journey. The idea was a result of a bunch of circumstances that came together. The first one, and probably the most important, is that Laurie Trombley, my co-director and co-producer, worked for Jeff Buckley when she was in college. She was his intern and managed his fan relations." "Then, nearly four years later, I met Laurie when we were working at a documentary television network; we became friends and thought it would be a good idea to make a short film together. Around this time Jeff passed away, and she was devastated, and that was the time she introduced me to his music: I was completely into grunge at this time. I remember the night that I listened to ‘Grace’ for the first time; it had a phenomenal effect on me. I remember sitting down and writing a poem, and I don’t usually write poetry. I thought that there was something amazing about this album that has really opened me up." "And I asked Laurie the next day “is this a common reaction by people who hear Jeff’s music for the first time?” And she started to gush about all the poems, painting, drawings and pieces of art the fans had made and sent to Jeff that were inspired by ‘Grace’. Whilst we were discussing this we had our ‘eureka’ moment, we realised that this is a really unusual and magical album. We needed to investigate and look a little closer to find out why it impacts and touches people so deeply." "That’s when we had the idea to investigate the power of the music, and do that by talking to the fans and looking at Jeff’s inspirations and influences. Also, we were curious as to why Jeff wasn’t a phenomenon in America the same way he was in Europe and around the world. The USA didn’t know who he was, so we wanted to make that introduction to American audiences." 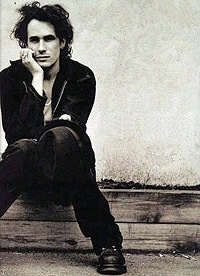 Do you feel any closer to the enigma of Jeff Buckley or does he still seem mystical to you? "That’s an interesting question. When we started out to make this documentary, Laurie and I both made a very conscious decision that we wouldn’t be making a biography and we wouldn’t be focusing on too many details of Jeff’s personal life. We wanted to focus on the impact and the power behind the music and the phenomenon of ‘Grace’, and why Jeff has become a legend." "So, in lots of ways Jeff is still an enigma for me. I didn’t spend any time delving into his personal life. I wanted to approach this film as a fan and not as a biographer. Laurie knew Jeff and she knew that he wouldn’t have wanted us to make an intrusive bio. Our interest was to find out what it was that Jeff was emoting or channelling when he sings and writes music that opens people’s hearts. I really do think that, by the end of this process I had a better understanding of why ‘Grace’ affected people so much." He really has become very famous in the last twelve months. What do you think he would have made of this success? "Yes, he became much better known when ‘Hallelujah’ was performed on American Idol. So, he was on the charts and people were discovering him. I think he would have taken it in his stride. My guess is that he would have taken it day by day. Most people who were close to Jeff have told me that he would have enjoyed it for what it was. He knew better than anybody the transient nature of success; that one day you could be a star and the next day you could be forgotten about." Did you expect to get Jeff Buckley’s mother’s permission to make the film? "When we approached Mary, she only accepted the meeting because of Laurie’s connection to Jeff. We found out later that she had every intention of turning us down because she wasn’t necessarily interested in somebody making a film about Jeff at that point. She had been approached by many filmmakers at that point, but she really liked the idea of focusing the film on the impact of his music and his legacy. She was really supportive from the beginning. We had only intended to make a 15-20 minute film and Mary was the one that told us that it might grow and grow: and she was right." Do you think that Jeff would have enjoyed your documentary? "After talking to Mary and several other people who knew him, I get the feeling he would have enjoyed it. He would have liked the fact that fans were included in the film. The film gives people a really good idea of the wide breadth of Jeff’s fan base. There were all different kinds of people that were attracted to his music. In our film, not only are we focusing on Jeff, but Jeff’s fans. We have a classical composer, a metal head, a singer-songwriter, a painter, a French modern dancer, and all these people are talking about how Jeff moved them and how he inspired them. And I think Jeff would have been very pleased and touched by that." Do you still get fans contact you with their stories and anecdotes? "Yes. Although not so much in the last couple of years. But during the time it was being shown on the festival circuit we got so many emails from people who wanted to thank us for making the film and telling us that they felt closer to Jeff after seeing the film. For a lot of people in Jeff’s circle, and Laurie especially, it was a very cathartic experience. One funny thing that we did get sent was from a fan who took pictures of the line-ups at film festivals to get into the screening." Do you now find watching the film a poignant experience? "It does feel poignant. It really moves me. When you are in an editing suite for months and months you become desensitized to some of the moments because you see them hundreds of times. Laurie and I had the same exact experience after watching the film again after a break. I felt removed from it – almost like I hadn’t made the film. I choked up at the point that Jeff dies. It was hearing people’s reactions to it, and Michael Tighe’s story about how the band were coming into Memphis to record, the whole tragedy and loss."